The story of Leah and Rachel has always tugged at my heartstrings. That we know of, Leah never asked to be given in place of her sister in marriage to Jacob. We don’t see her hand in the deceit. And yet she somehow becomes the “switch” in the “bait-n-switch” that Laban executes on Jacob. I think of her. What it must be like to wake up the morning after her wedding to a husband who doesn’t want her. She did nothing wrong—it was her father who had—and yet she’s virtually cast aside. 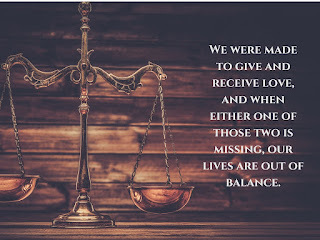 Leah had to have witnessed the love of Jacob for Rachel even before the wedding, but was there a part of her that longed to believe he’d love her once he found himself as her husband? Even though this story happened ages ago, Leah's struggle is not a one-time occurrence in life. She's not alone in her experience. Oh, how it happened might be unique, but the result is something many of us can relate to. The pain of unrequited love. The hurt of feeling isolated and alone. Many of us can relate. 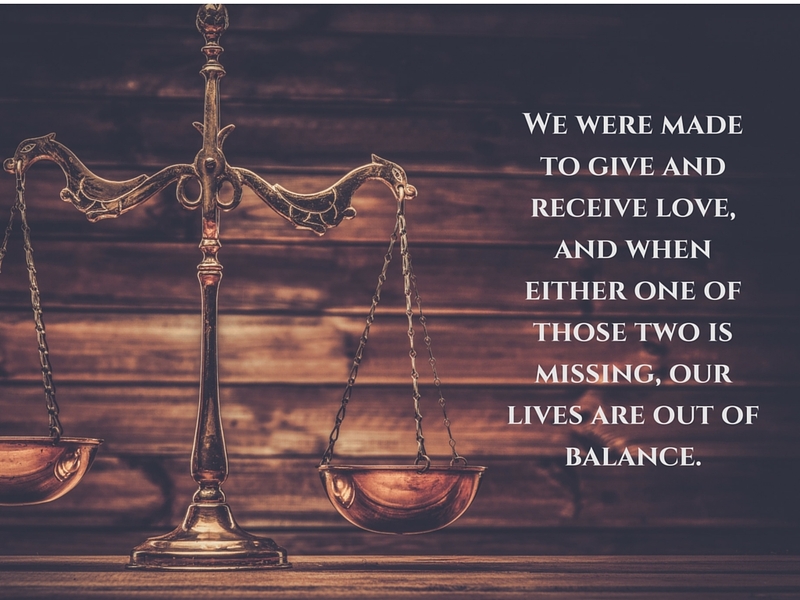 That's because we were made to give and receive love, and when either one of those two is missing, our lives are out of balance. Poor Leah's life was way out of balance. She had no trouble giving her love at first, but as the years slowly crept past without receiving it in return she began to feel desolate. She began to try to earn that love, but it never worked. That's because love isn’t meant to be earned, and trying only creates pain in our lives. It wears on us. Even worse it begins to weave into our core the lie that we are unworthy of love. Friend, nothing could be farther from the truth. God loves freely. People may not, but God always has and always will. Countless verses in the Bible attest to this, you can even Google it. And right here in Genesis, he answers Leah’s hurting heart. “When the Lord saw that Leah was not loved, he opened her womb….” Leah may not have received love from man, but God never once lost sight of her. He lavished her with his love, ministering to the deepest desires of her heart, and filling her arms with blessings. And he sees you today too. You don’t have to earn his love, you only have to step into it. Don’t wait a moment longer. Lord, today let me feel your love. It’s deeper and wider than any earthy emotion can compare. Help me to stop trying to earn that which you give freely. Open my eyes to see I am worthy of love, and open my arms to embrace the boundless love you desire to lavish upon me. Fill me with your presence today, Lord. Amen!